The patterns were £5-£6 each from Amazon, I’m yet to locate a favourite pattern provider and would welcome suggestions. The patterns both say I need 2.5-3metres of fabric, and because I’m hoping whichever dress I make will turn out ok (due to being supervised in class) I am keen to choose a fabric I love in the hope I can wear the finished article. This is where the big decision comes in. When I invested in several different single metres in Mansfield, I saw a lovely dark red fabric covered in kind of smudged spots. It was new in for winter, it was very ‘me’ and it was £14 per metre. Yikes. It’s stayed in the back of my mind because I do love it, but £42 just seems too much to spend on a first dress project. The trouble I’m finding is that all of the better quality, more unusual and appealing fabric is AT LEAST £12 per metre, so far as I can find. It’s cheaper in America, a lot, but shipping costs pretty much erase the savings. 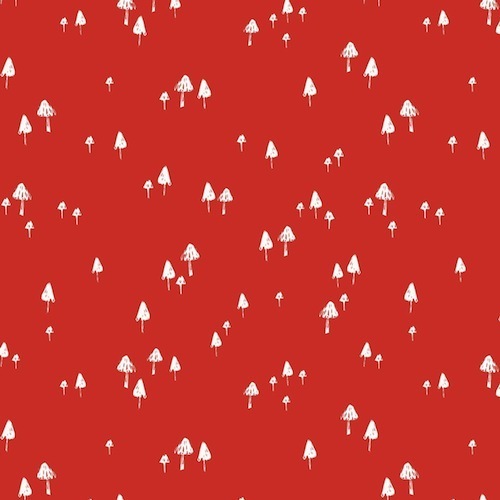 I’ve finally found a fabric I like, by Dashwood Studio and from their Wildwood Collection. It’s dark red and covered in quite a small toadstool print. It’s unusual but not obscure. I’m looking at £36 for three metres, which I think is ok as long as I don’t make any irreparable mistakes. I am also hoping I would have a decent amount left over, for use on future projects. What do you think? 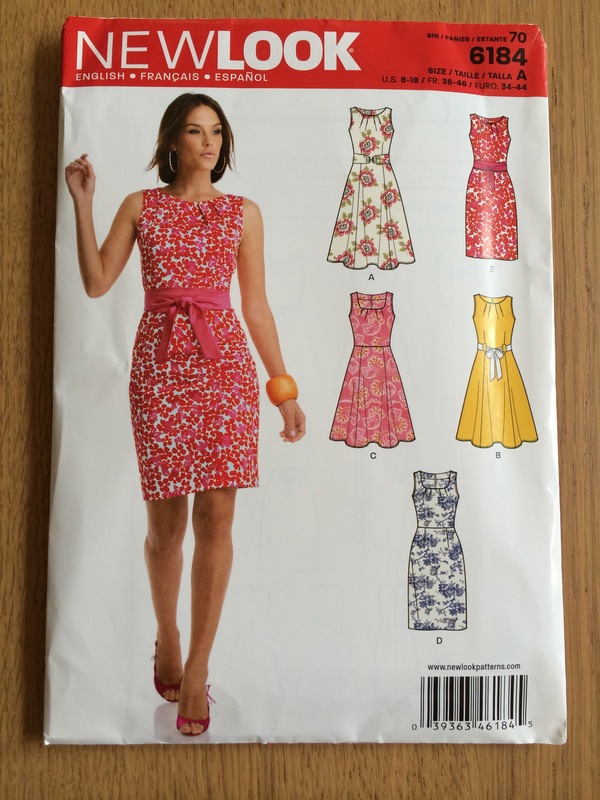 Where do you buy quality dressmaking fabric in the UK? I like this! Simple but gorgeous! I am interested to see if anyone recommends any shops in the UK…..I just haven’t seen any in the UK that compare to the US ones 😦 Which is sad……maybe we should open one! !